Fox Haters conned by Michael Moore: analysis. Monday’s numbers: Bill-Hannity-Beck 1-2-3. Weekly ranker. Happening Now relocates to newsroom? Coop protects King. Weekend numbers. Q&A: Dennis Kneale (via ICN): analysis. Ailes leads review of FBN. 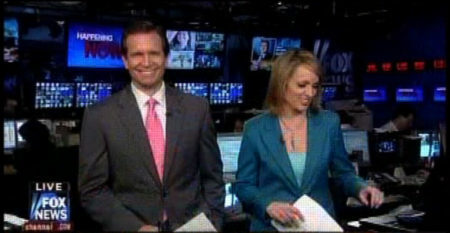 Spitzer as anchor: nimble, clever?! CNN: tainted by own actions. CNN sets the bar? Hotline after dark.